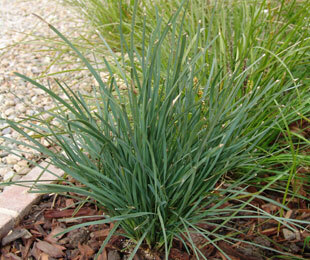 Description: Savanna Blue™ Lomandra has a low height so is ideal as a border or ground cover for smaller modern gardens. It has a lovely texture and blue contrasting foliage. It has performed better than other blue foliage confertifolia types, particularly in the wet. Size: 30cm high x 30cm wide. Uses: Mass plantings and specimen gardens. Position: Full sun to part shade. Tolerates drought and frost. 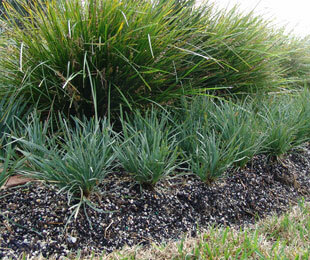 Savannah Blue™ Lomandra suits a wide variety of soils. Prefers free draining soils in humid regions like Sydney. Care: Water as required for 8-13 weeks until established, then water in extreme drought. Plant in a well mulched garden (chunky mulch is recommended). Ensure crown or base of plant is not below soil or mulch level. Use slow release fertiliser in spring if required. Trim older leaves as required and cut back halfway every 3-7 years (will look better with pruning every 3 years, this depends on your requirements). 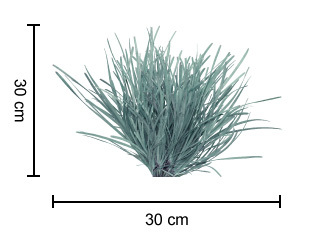 For more detailed information on Savanna Blue™ Lomandra click here.